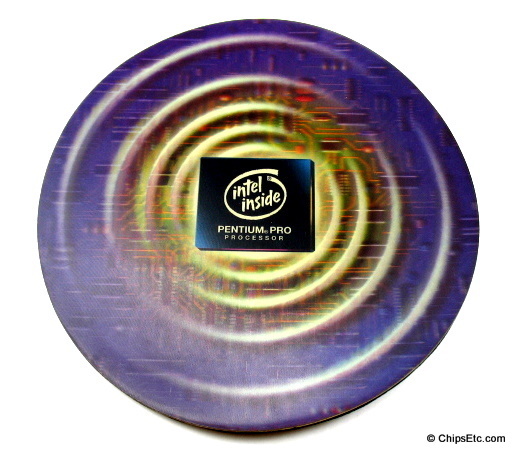 This holographic promo mouse pad features an image of the Intel Pentium Pro Processor with Intel Inside Logo with an Integrated Circuit themed background. 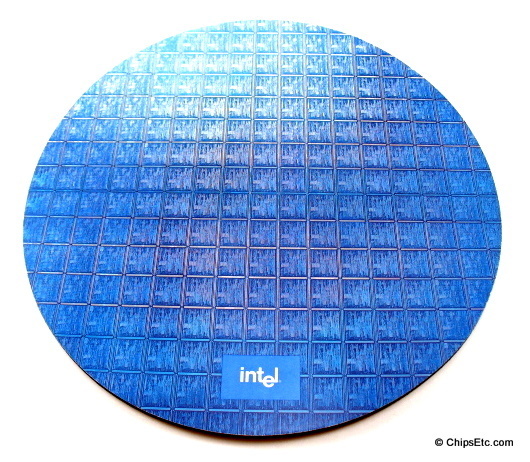 This promo mouse pad features a graphic of an Intel wafer with processor chips on it. It was given out to promote the "Yes" Intel ad campaign which was active during 2002 - 2003. The multimillion-dollar Intel "Yes" campaign promoted their high-performance server processors - including the Pentium 4, Pentium 4M, Itanium, Itanium 2, and Xeon processors. 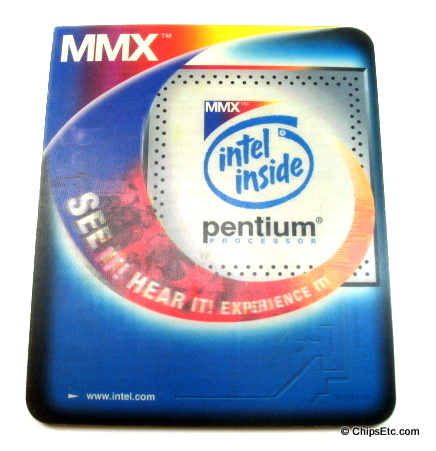 This holographic mouse pad features an image of the Intel Pentium P55C Processor with Intel Inside & MMX Logos with the promo theme "MMX - See it! Hear it! Experience it!". The Intel Pentium P55C (80503) Microprocessor, introduced to the public on October 22 1996, was developed by Intel's R & D center in Haifa Israel and was based on the original Pentium P5 core but had 57 additional MMX instructions designed to improve performance when using multimedia intensive applications. 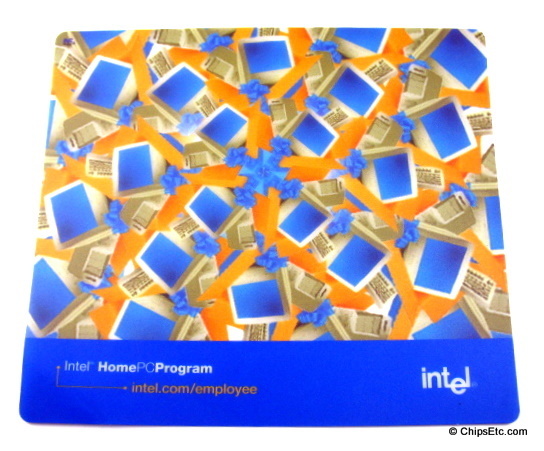 This mouse pad features a kaleidoscope image of Desktop PC's and was included with Desktop PC's that were given to all Intel employees in the U.S. employed in 2000 as part of Intel's HomePC program. Employees also received a year of free internet service. Employees could choose from either an HP laptop or an HP desktop computer system with Monitor & Printer. The program was originally planned to give employees a new computer system periodically but after the original launch in 2000 the program has not been revisited to date. 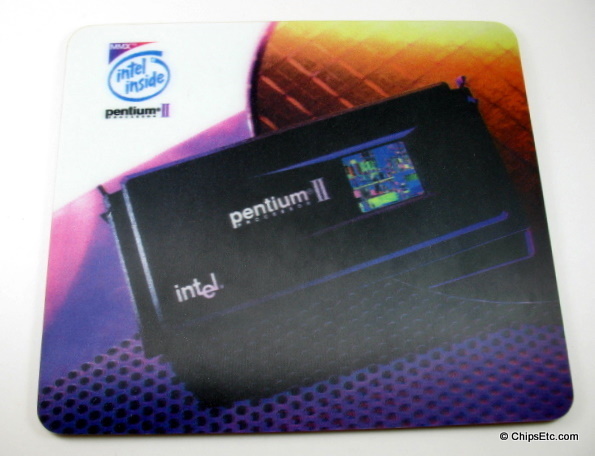 This holographic mouse pad features an image of an actual Intel Pentium II Processor Cartridge with an Intel wafer in the background along with the Intel Inside Pentium II MMX logo. 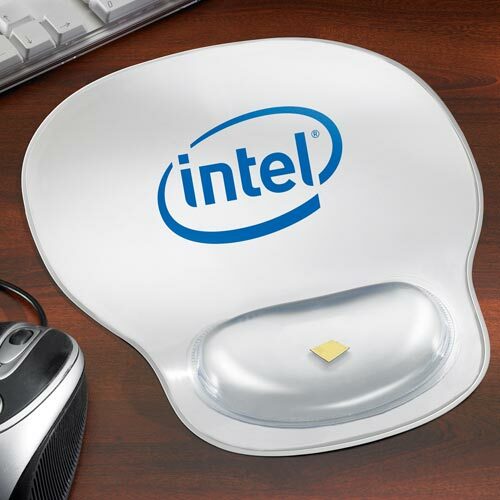 This Unique custom mouse pad features a gel-filled wrist cushion with an actual floating Intel chip inside. White pad with blue Intel logo. 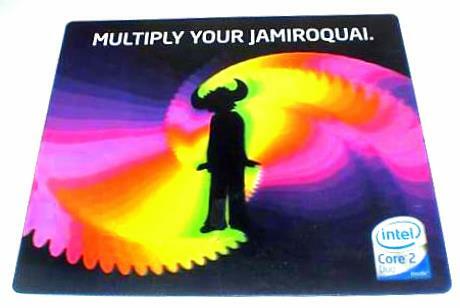 Colorful Intel Core 2 processor promo mouse pad reads "Multiply your Jamiroquai".